Origin Earth’s yoghurt is set in the actual pot that you buy it in. The only additive to the milk is the yoghurt culture. 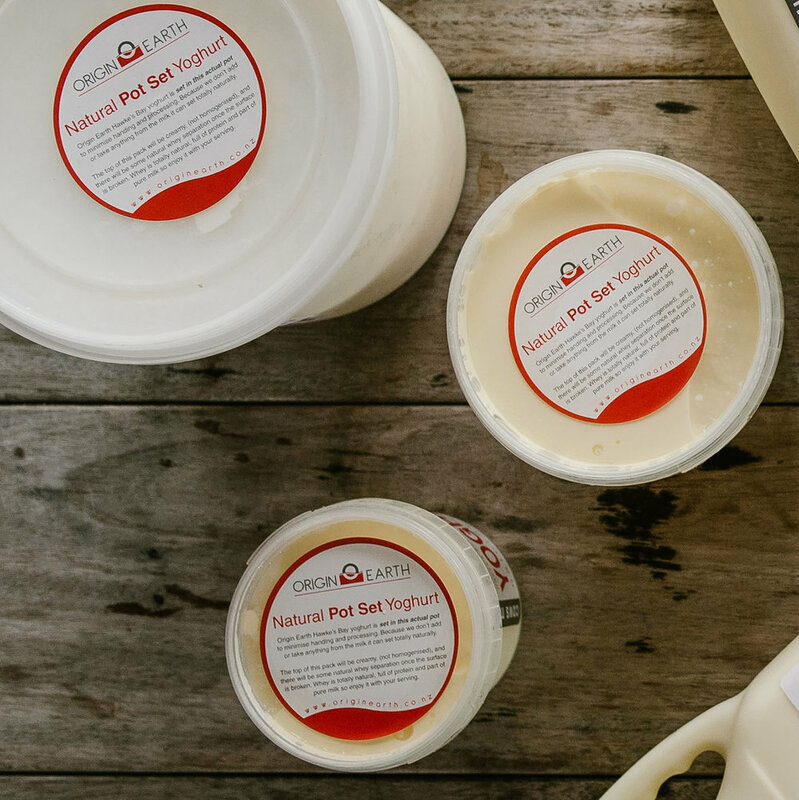 Like our milk, our pot set yoghurt has a layer of cream on the top. Hidden under this delicious yoghurt cream is a thick creamy yoghurt. Once the surface of the yoghurt is broken there is a natural separation of the whey – just stir this back into the yoghurt or pour off and use as a refreshing drink. Whey is a natural component of whole milk and is full of protein – you may have heard of people taking whey protein as a supplement – it is naturally in our pot set yoghurt and milk. An excellent yoghurt for cooking. Available in 365mL, 565mL and 2L tubs. Recipes using Origin Earth Pot Set Yoghurt. Ingredients: Hawke’s Bay cow’s milk, culture.